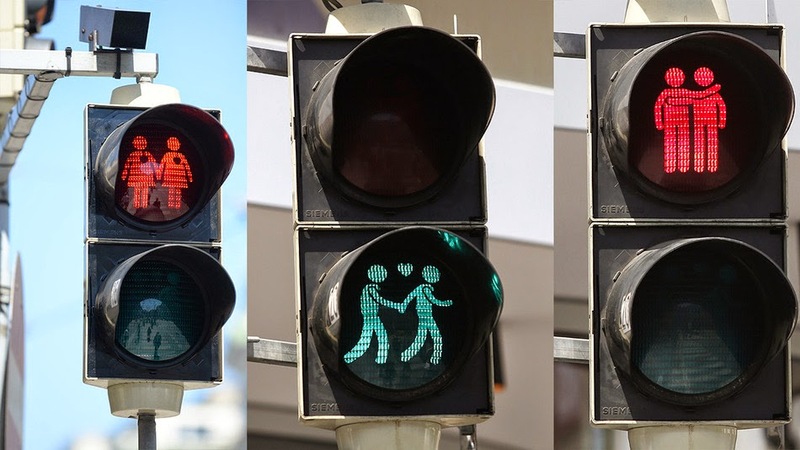 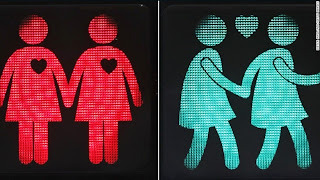 A total of 49 intersections in the city of Viena have received the temporary overhaul and their traffic lights have been equipped with symbols representing loving gay couples holding hands. Dozens of traffic lights in central town have been programmed to show male or female gay couples with hearts, in red for stop and green for go, replacing the usual single and gender-neutral figure. The campaign is mainly targeted at raising awareness for traffic safety, but it's also pegged to the upcoming Eurovision Song Contest which to be hosted in the Austrian capital on May 23. 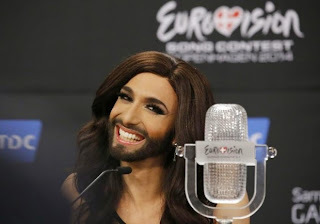 Remember that Eurovision is enormously popular among gay communities across Europe, not only because of bearded Austrian transgender artist Conchita Wurst's triumph at last year's event.